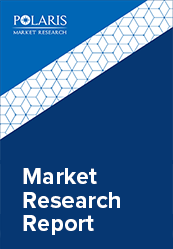 The global electronic & consumer goods plastics market was valued at $35.2 billion in 2017 and is anticipated to grow at a CAGR of more than 6.2% during the forecast period. Electronic & Consumer Goods Plastics are used for production and manufacturing of a wide range of consumer and electronics products. Materials such as polycarbonate and advanced resins are used for production of consumer and electronic products for providing functionality, and aesthetics to the products. Consumer electronics use plastics such as Polycarbonate (PC) blends, PC compounds, PC films, glass-filled PC, ignition-resistant PC, and post-consumer recycled plastics among others. Plastics are increasingly being preferred over wood and metal owing to their lightweight, adaptability, cost effectiveness, and broad scope for design. The increasing population and rising demand for consumer goods drive the growth of the electronic & consumer goods plastics market. The growing middle-class population, cost effectiveness offered by plastics, and presence of numerous players in the market further augment electronic & consumer goods plastics market growth. Other factors driving the market include improving lifestyles, and increasing disposable income, especially in the emerging economies of Asia-Pacific. Growing demand from emerging economies, increasing consumer awareness, and growth of e-commerce platforms are factors expected to provide numerous growth opportunities in the coming years. The global electronic & consumer goods plastics market is segmented on the basis of type, application, and region. Based on type, the market is segmented into Polyethylene, Polyvinyl Chloride, Polystyrene, Polypropylene, and others. 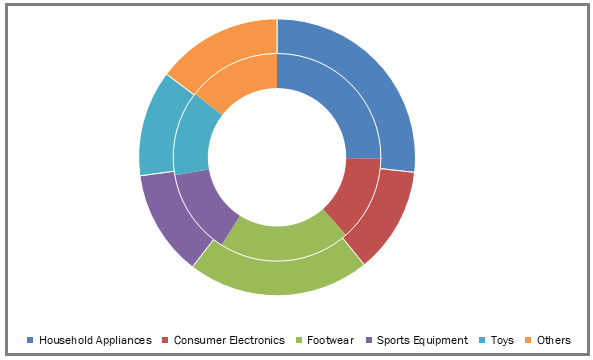 On the basis of application, the market is segmented into household appliances, consumer electronics, footwear, sports equipment, toys, and others. Household appliances segment dominated the global market in 2017 owing to increasing disposable income, and improving living standards. Geographically, the electronic & consumer goods plastics market is segmented across North America, Europe, Asia-Pacific, Latin America, and MEA. North America is further segmented into U.S., Canada, and Mexico. Europe is divided into Germany, UK, Italy, France, and Rest of Europe. Asia-Pacific is bifurcated into China, India, Japan, and Rest of Asia-Pacific. Asia-Pacific accounted for the largest share in the Global Electronic & Consumer Goods Plastics market in 2017. The leading players in the electronic & consumer goods plastics market include BASF SE, The Dow Chemical Company, Celanese Corporation, Trinseo S.A., Formosa Plastics Group, Covestro AG, E. I. du Pont de Nemours and Company, Chevron Phillips Chemical, Mitsubishi Chemical Holdings Corporation, and Solvay S.A among others. These leading players in the market are introducing innovative products in the market to cater to the consumers. Global players are entering new markets in developing regions to expand their customer base and strengthen market presence.